Well it was a HOT Sunny start to the morning madness that is Christmas & Kids Disco Parties! As soon as I left home and arrived at 9:00am to setup, it felt like 40+ degrees! But the show must go on! Boondall Sun Kids contacted me about a week prior looking for a DJ for their Kids Party / Kids Disco, and I was happy to help! 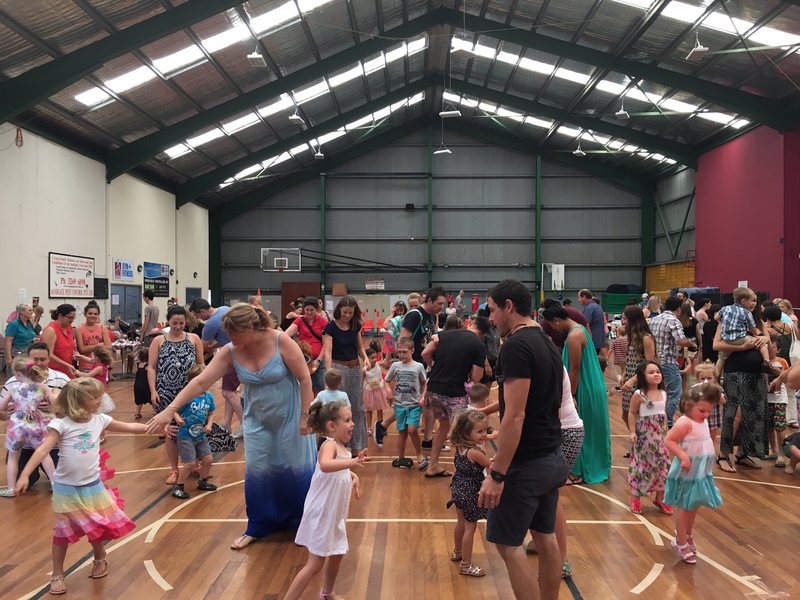 They were holding a Graduation/Kids Post Breakup Party (quite common for Kindy Centres) where the kids could come and pickup their award and have some food, get their face painted – and have some fun dancing! Because it is a very big hall / area, I managed to get the kids to come all up the front at the start of the disco and let them know what we are all doing. I got them to sit down and do a few introduction games and interactions (this is really good because it helps them lighten up a bit and not be so scared at the start). We did some warm up games after and then got a few kids out of the audience to get involved with a few special dances and games etc. After that we did all of the other fun disco songs & music that I do, along with Hokey Pokey, Chicken Dance, and Gangnam Style – all of the kids did really well! Then, Santa arrived about 11:45 and suddenly I wasn’t popular anymore (…..funny how that happens!) but that’s OK I remember when I was excited to see Santa at the Shopping Centre and get my Candy Cane and Present. It was a really hot day, but the parents, teachers, staff & kids all had a great time out. I am really looking forward to coming back next year for their next Kids Disco Xmas Parties.